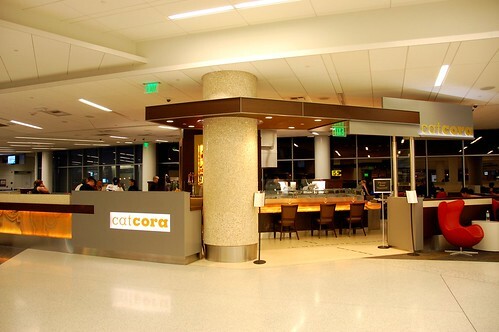 Cat Cora's Kitchen will change your mind about airport dining. We grabbed a quick meal there at SFO's Terminal 2 before we flew home after a weekend trip. 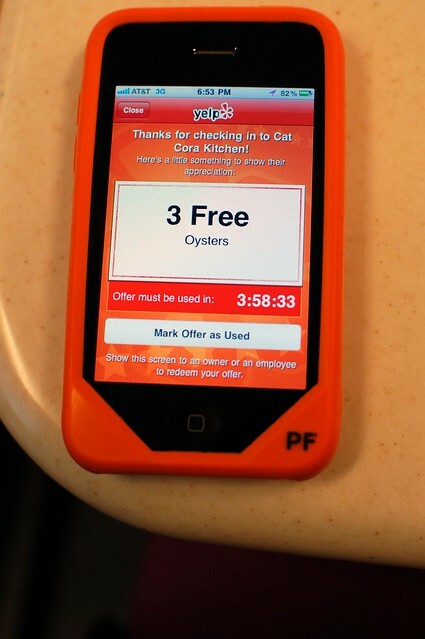 If you check in on yelp, you get three free oysters. We like free stuff. 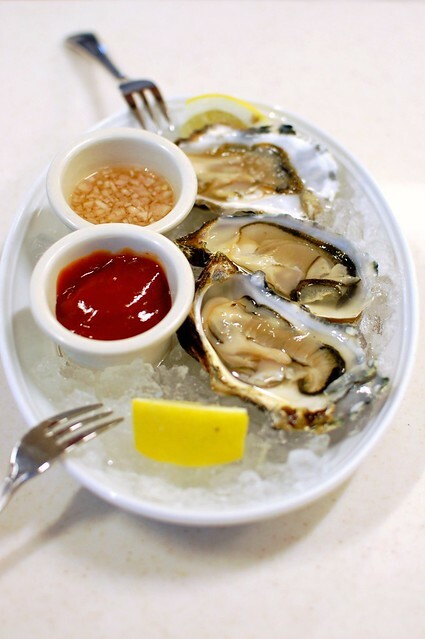 Oysters are typically served by the half dozen or dozen. This was a nice free bite. 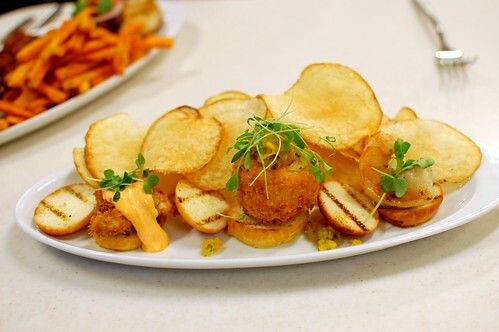 Surf Slider Trio -- fried oyster, grilled shrimp, crab cake, and housemade chips ($14). Bite-sized handheld seafood? Yes, as good as it sounds. Lobster macaroni and cheese with coldwater lobster and Gruyere ($14). 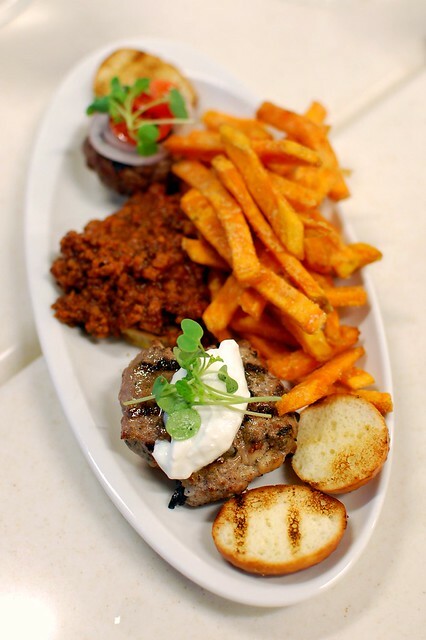 Slider Trio -- Wagyu beef, lamb burger, spicy pork, and sweet potato fries ($14). 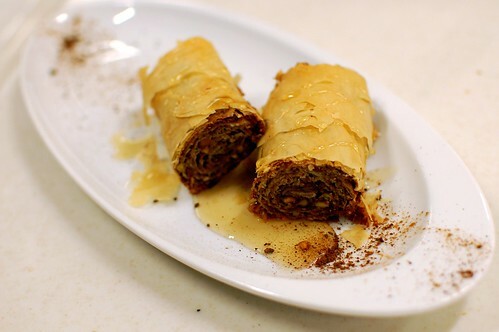 Pistachio baklava -- flaky phyllo layers, cinnamon, honey syrup ($7). Light and crisp. Nice sweet bite to end. With Cat Cora's Kitchen and other great stores in Terminal 2 at SFO, I wouldn't even mind that much if my flight were delayed. Best Yelp check in deal I've ever seen! I love free food. I may need to start checking in on yelp! this looks so good! mmm. bivalves. 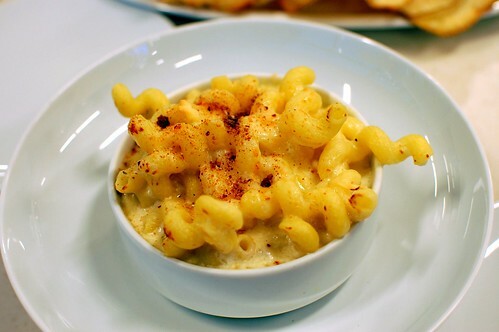 Lobster macaroni. Om nom nom. This is a must try! I stopped reading after lobster mac and cheese and just drooled.